SMITHS Detection, part of the global technology business Smiths Group, today announces that its x-ray inspection equipment has helped officials in the Dominican Republic make their largest cocaine seizure. On September 18 officials at the port of Puerto Caucedo, near the Dominican capital of Santo Domingo, seized 2,250 kilograms (4,960 pounds) of cocaine hidden in a cargo container of peaches bound for Belgium. The cocaine has an estimated street value of $40 million. The cocaine was located by Smiths Detections Silhouette Scan CAB 2000, which had been installed the previous weekend. 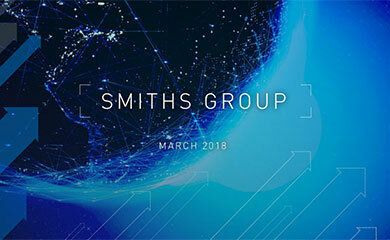 Stephen Phipson, Group Managing Director of Smiths Detection, said: The discovery of this large narcotics haul by our x-ray equipment in its first week of operation reinforces the effectiveness of our products and underlines the need for vigilance in securing ports and borders around the world. The decision by local authorities to use advanced x-ray screening equipment shows their commitment to better and safer trading through their ports. Smiths Detection is very proud to play a key role in this process going forward."" Smiths Detections Silhouette Scan CAB 2000 is a transportable x-ray inspection system, which rapidly inspects trucks and containers without the need to open them. Set-up and dismantling of the unit can be done in less than 30 minutes which allows for short-term use at different locations.